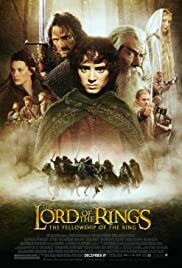 178 min [ One ring to rule them all ] - Young hobbit Frodo Baggins, after inheriting a mysterious ring from his uncle Bilbo, must leave his home in order to keep it from falling into the hands of its evil creator. Along the way, a fellowship is formed to protect the ringbearer and make sure that the ring arrives at its final destination: Mt. Doom, the only place where it can be destroyed.